Editor's Note: Most of this was written before the news of Roman Reigns’ wellness policy violation and suspension. Since WrestleMania, I’ve been thinking about Dean Ambrose’s WWE career, about how the company missed their chance with him, about how he could’ve been a big star, and about how he may never reach his potential. Then, Ambrose won the WWE World Heavyweight Championship Sunday night at Money In The Bank. Here’s a look at his wild ride to the top. It seemed like when The Shield would finally break up, Ambrose would be a top heel coming out of it because he was a natural. Reigns would be a babyface and pushed as a top star and Rollins, a fantastic wrestler but mediocre on the mic at the time, would end up a babyface as well, but one who would probably get lost in the shuffle. Of course, that’s not what happened. WWE teased the breakup of The Shield several months before it happened, and it looked like Ambrose would be the catalyst. They decided not to pull the trigger, because The Shield still had life. After feuds with the Wyatt Family and Evolution, Rollins surprised everyone when he pulled the trigger that ended the partnership. Rollins--not Ambrose--was the heel. As it turned out, Ambrose made for a great babyface. Ambrose, not Reigns, started a summer-long blood feud with Rollins that resulted in plenty of highlights, including Ambrose busting out of a giant birthday gift to wildly attack his foe. He desperately wanted Rollins to pay for what he did, and the fans were into it. Ambrose was red hot, and the fans wanted to see him get revenge. Unfortunately, that didn’t happen. 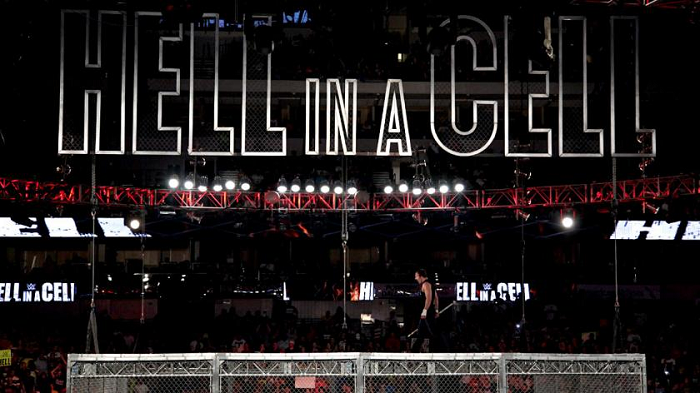 The Ambrose-Rollins feud culminated in a Hell in a Cell match (which notably headlined that show over a John Cena vs. Randy Orton HIAC match). On Chris Jericho’s podcast, Ambrose once said he likes doing things differently, things that may not make sense to everyone. Hell in a Cell was evidence of that. Ambrose started the match not in the ring, but on top of the cell. Ambrose should have won this match and his feud with Rollins. Rollins was being protected anyway as Mr. Money in the Bank, a member of the Authority, and destined to win the WWE Title regardless of what happened in this feud. But a win for Ambrose would have put him on another level. The fans deserved to have their faith rewarded. Instead, he lost after some bizarre interference by Bray Wyatt. Not only did Ambrose lose the feud to Rollins, he lost the following feud with Bray. This was the first big example of the company dropping the ball with him. After losing feuds to Rollins and Wyatt, Ambrose found himself fighting for the Intercontinental title. In the 2015 Royal Rumble, after Daniel Bryan was unceremoniously eliminated, Ambrose was someone the fans fell back on, hoping he would win instead of Reigns. Of course, he was dumped out of the ring like nothing by Big Show and Kane. Ambrose continued on in the mid-card, fighting for the IC title in a ladder match at WrestleMania won by Daniel Bryan. Then, somewhat out of nowhere, Ambrose finally beat Rollins in a match on Raw. The win earned himself a title shot in a Fatal 4-Way that included Reigns and Randy Orton, but, of course, Ambrose didn’t win. He did find himself in another singles feud with Rollins with the title on the line. After getting screwed at Elimination Chamber, Rollins barely defeated Ambrose at MITB to retain his title. Ambrose came close, but again, came up short. After this, he found himself feuding with the Wyatts again, and again, came up on the losing end. After Rollins got hurt and had to surrender the WWE title, Ambrose was put in a tournament to crown a new champion. This led to a match they’ve never done, a match they perhaps should have never done -- Dean Ambrose vs. Roman Reigns. Reigns won the title by defeating Ambrose, but it was somewhat forgettable considering what happened next -- Sheamus cashing in his MITB briefcase to win the title. 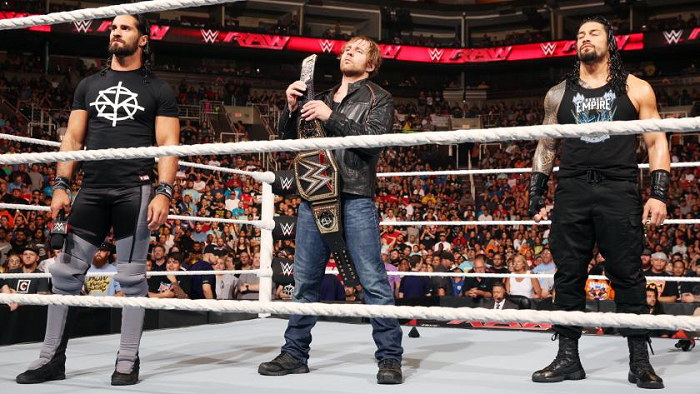 While Reigns feuded with Sheamus over the strap, Ambrose returned to the IC title mix. It was around this time Ambrose started to gain momentum again. When his popularity was rising, he was getting comparisons to Steve Austin. Maybe that’s absurd, but fans were desperate for a new star. With Reigns still not clicking with the audience, there was the thought, or hope, that maybe Ambrose should take his spot at WrestleMania. When Reigns lost the WWE title in the Royal Rumble, it was Ambrose--not Reigns--who was last eliminated by Triple H.
At the next PPV, Ambrose was again pinned by Reigns, this time for the number one contender spot. A few weeks later, Ambrose fought Triple H for the title at Roadblock in Toronto and came up short...again. To be fair, he got screwed, but there was basically no follow up, and in the end, the story was that Ambrose failed to win the big one. I was at that Roadblock show and there really was a feeling among fans that Ambrose could win and change the WrestleMania plans the way Daniel Bryan did two years earlier. Instead, Ambrose was roundly beaten by Brock Lesnar, both throughout the feud and in the actual Mania match. To this point, Ambrose had lost almost every big match he has been in with Rollins, Wyatt, Reigns, Triple H and Lesnar all getting their hands raised at the end. Yes, he’s been U.S. and IC champion, and yes, he beat Jericho, but a lot of guys can say both of those things. After WrestleMania season, Ambrose lost a lot of steam. Instead of being the unhinged lunatic who would wildly attack Rollins at any opportunity, he became a caricature. He was acting crazy, but it was just that: an act. There were complaints about Ambrose feuding with Jericho over a fake talk show and plant, but this is the same guy who once used ketchup and mustard as weapons, and at the time, that worked. But Ambrose was losing the authenticity and credibility he once held with the audience, and feuding over plants and jackets was sad more than it was fun. I suppose it shouldn’t be surprising that WWE put the title on Ambrose when he is at his least interesting point. He’s not red hot anymore. The comparisons to Austin have stopped. But, the opportunity still exists to make Ambrose a top guy. All of the losses and times he got screwed over can add to his story, and WWE would be smart to take advantage and tell that story. Cashing in on Rollins was the perfect start. Ambrose went from being the de facto leader of The Shield to the odd man out. But now, it seems as though all three Shield members are back on the same level. I certainly don’t think Money in the Bank was a sign that they’ve given up on Reigns. If anything, Ambrose winning was just a way to set up an angle through SummerSlam and nothing more. It’s possible Ambrose will go back to where he was before this all happened, but that would be a mistake. This company seems filled with top heels who get cheered and top faces who get booed, but Ambrose is a face who gets cheered and seems genuinely well-liked. Hopefully he’s trending upward again. You could argue that all three members of The Shield should be bigger stars than they are -- If only they had turned Reigns heel, if only they brought back Rollins as a babyface, if only they didn’t do all that stuff I just mentioned with Ambrose. Still, all three guys have done pretty well for themselves. It’s important to note how protecting The Shield for as long as they did really make all three guys. Smackdown is frequently advertised and centred around these three men, while guys like John Cena are given the night off. Headlining shows with any combination of The Shield members would have been impossible if they hadn’t been booked so strongly (or if they had debuted on their own as individuals). That’s why it’s totally fine getting upset when AJ Styles or Kevin Owens or Bray Wyatt or whoever loses a big match. Ambrose’s struggle to make it through poor booking isn’t a new story. WWE has a long history of ignoring a guy when their popularity peaks. Whether it’s because that guy wasn’t in the plans or because they like to prove the fans wrong, it’s self-destructive. But as we’ve seen, plans can change. If the plan is to keep the title on Ambrose for any length of time, which I know is unlikely, I hope the shows feel different with him on top. During his initial rise, Ambrose’s segments were often a breath of fresh air on dreary Raw shows that are always too long. 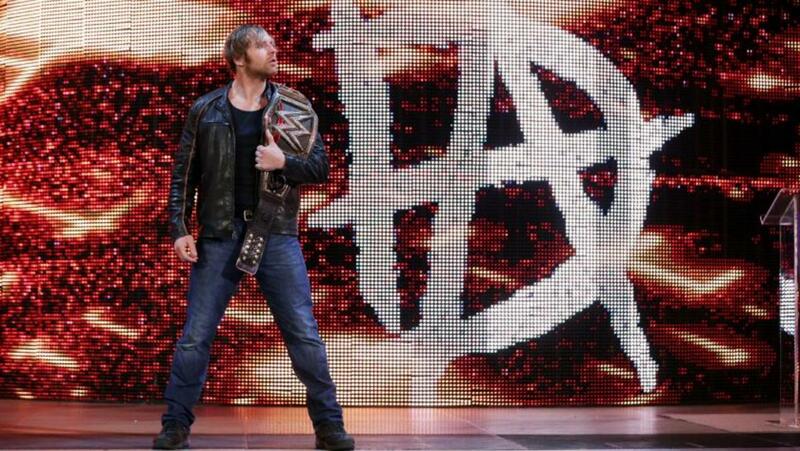 We already knew that Dean Ambrose had the ability to be a biggest star of The Shield. Maybe now, especially in light of recent news, he will be. WWE RAW Hits & Misses: DTA Ambrose, Weak Wyatts and People Power!